Straight from Christian radio, WOW Hits 2018 Deluxe brings you the biggest Christian artists & songs! Featuring your favorite artists, singing their biggest hits! 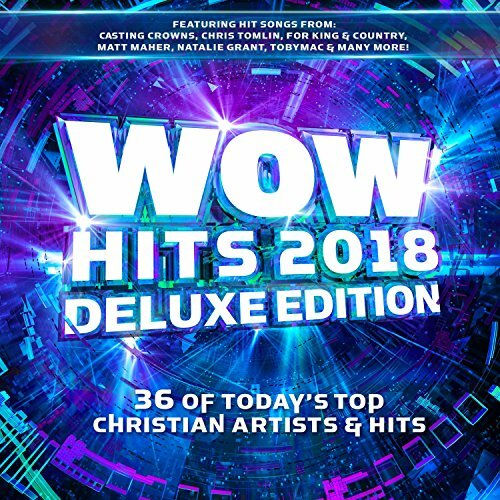 WOW Hits 2018 Deluxe captures 36 songs on 2 CD's that will inspire! Featuring Songs By: Hillsong United, Jeremy Camp, Casting Crowns, for KING & COUNTRY, Matt Maher, Chris Tomlin & more! The Biggest Artists…The Best Songs…All in one place…WOW Hits 2018 Deluxe!